The biggest tragedy associated with mass, industrial tourism is that it is selling itself, the rest of humanity and the planet short. Ironically, this is a “no no” in the commercial world of which it is so proud and keen to be a part. Thousands of speeches have been made and words written about the contribution of tourism to economies (developed and developing). The other most frequently used buzzword is “value added” when the reality is often so very different. Yet, other than technology (especially information-related technology), I can’t think of another industrial sector that has seen the real cost of its products (as expressed as a percentage of disposable income) plummet as much as tourism. 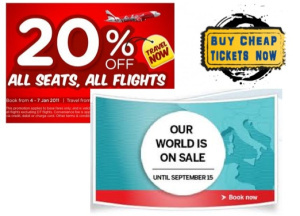 A billion people are travelling internationally and many are doing so frequently because they can afford to. Travel is no longer a privilege that one saves up for, anticipates and savours, it’s considered a universal right, expected to be cheap and has become an itch that can be instantly gratified – not because it’s highly valued but because it is not. If the reduction in the real cost of travel was due to brilliant innovation that supported huge productivity gains and vast increases in consumer satisfaction, we’d have reason to be proud. But that isn’t the case either. Obviously we can’t overlook the infusion and diffusion of technology – our boarding passes come out of kiosks instead of being accompanied by the warm smile of a contented airline “hostess”; our planes have become bigger, slightly more energy efficient and cramped; travel information is universal, ubiquitous, and sometimes instant – but, generally speaking, we move and house people the same way we have done for 60 years using the same, fragmented organizational structures by using fewer people but more machines and efficient processes. As tourism has grown as both a domestic and international phenomenon, the net returns to tourism provider and host community have diminished and are on a downward trajectory. That means we are failing to generate the highest and best return from the “resources” (land, water, landscape, culture, people) on which we depend – despite the fact that the occurrence of such resources, in terms of sought after places (often called hot spots) is incredibly rare. There is only one Venice, Machu Pichu, Galapagos, Angkor Wat, Bali. Uluru…Yet you can “consume” the travel products built around such unique places almost as cheaply today as my grand parents would have consumed a weekend away on the beach in Blackpool. Value isn’t an ingredient that can be added by a supplier. Value is a belief, a perception or attitude expressed by the buyer that can be realized. When we value a person, place, or object we behave differently – we rearrange our own personal resources of time, attention or money to sustain and enjoy that value. In a world dominated by money, we show our sense of value by being willing to pay more for what we consider more valuable. Somehow, 50 years of continuous tourism growth has resulted in a situation whereby tourism is more accessible to more people than ever before but less valued and generates less net value per trip. Conscious Travel is about realizing a higher value for and from all participants in the tourism system – hosts, guests, host communities and the other members of the biosphere on which we depend. For the host, Conscious Travel about achieving a higher, more stable and consistent profit margin that enables the business to endure, to adapt, weather crises and provide a decent living for employees and suppliers. For the guest, it’s about returning home feeling better, more optimistic & hopeful, physically refreshed, mentally stimulated, emotionally alive and spiritually fulfilled. For the host community, it’s about realizing a net income that not only covers the cost of supporting the visitor but generates tangible improvements to local culture and ecology. For the planet, conscious travel has the potential to become a major force for change and renewal – for helping humanity make the “Big Leap” required of it, if it is to cope with the converging challenges of its own making. Because value is a perception and, like beauty, is held in the eye of the beholder, real, radical and systemic change will not occur until a critical mass of hosts and guests change their perception; their mindsets and way of thinking. If you change the lenses through which you see your world, then your world does indeed change. We’ve used the word “conscious” because it means to “become awake, aware and alert;” and acknowledge that there is no objective reality that isn’t filtered by our mindsets – a set of values, beliefs, assumptions that form a basis for the agreements we make with each other. Conscious travel as a movement is about participating in and accelerating a huge value shift that is taking place as growing numbers of people from all walks of life and all countries consciously question and re-frame their values with enormous implications for every aspect of society and economy. The emergence of conscious consumers and conscious capitalists, even, is described elsewhere on this web site. Conscious travel as a learning program is about helping hosts and guests see their world through another set of lenses – ones that are more suited to ensuring their survival and prosperity than the ones they have been consciously or unconsciously wearing in the past. Conscious travel as an economic phenomenon and Conscious Destinations are about businesses and places able to attract conscious travelers who truly value the act of travel as a privilege, the opportunity to become a better human being, and who value and honour the unique attributes of the places they visit and the hosts who extend hospitality in their own unique way. Conscious Hosts are business owners and managers who will have consciously examined and defined their own mindsets; who base their business on their own set of values and purpose; reflect the uniqueness of their place; and work collaboratively in a community of hosts. They will generate a higher net return to their communities; enjoy more stability, prosperity and personal meaning; and be recognized as positive change agents and custodians of local ecologies and cultures. Some might use the term “eco”, other responsible, sustainable, fair trade, good or green. One of the reasons for the rise of the “local travel movement” stems from a disdain for the homogenized, standardized approach to product development. Conscious travelers want variety, authenticity, engagement etc. They want to go home changed. Truly embracing the uniqueness of each place – however small – and expressing that uniqueness is the antidote to “commodification” and the key to realizing true value for host, guest and host community. But such an embrace cannot take place without a change of heart; a shift of mindset. The best way to understand just how different mindsets can be is to spend time with indigenous people who, by definition, have never lost their sense of place and who define their personal identity with the place they and their people occupy and care for. That’s why I believe that so called mainstream tourism has more to learn from indigenous communities than the latter have to learn from mainstream tourism. 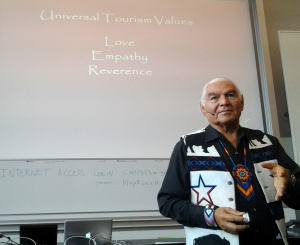 That’s why Conscious Travel is profoundly and deeply influenced by an indigenous way of thinking and being and will support all efforts that ensure their worldview gains voice and attention in the tourism community. At one point I became enamoured with the term “place makers” until I realized that it showed how much grip the old western mindset still has on my thinking. It implies that places can be made as in manufactured or constructed in the same way that a brand can be created and applied. Authentic and real destinations or experiences cannot be created. They can be allowed (possibly encouraged) to emerge as an expression of the essence, personality or spirit of a place that is always alive. Once you have stopped thinking of separate subjects and objects, of people, places and things that can be observed objectively but as one constantly interacting whole, this will be understood. You will experience a place as real – for what it is – and know that in your heart. When the knowing takes place there, you will be changed in some way and the act of travel will have realized its true purpose.